Following the success of our instant sell-out First Blood Rambo comes version 2, Survival Rambo. Based on the key action sequences where Rambo seeks shelter in the wilderness while being pursued by local police. 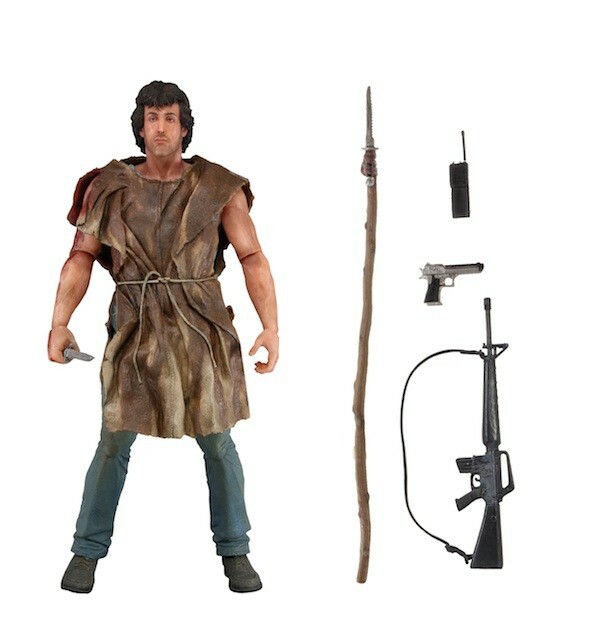 Rambo comes loaded with tons of accessories including survival knife, walkie talkie, pistol, assault rifle, and spear. 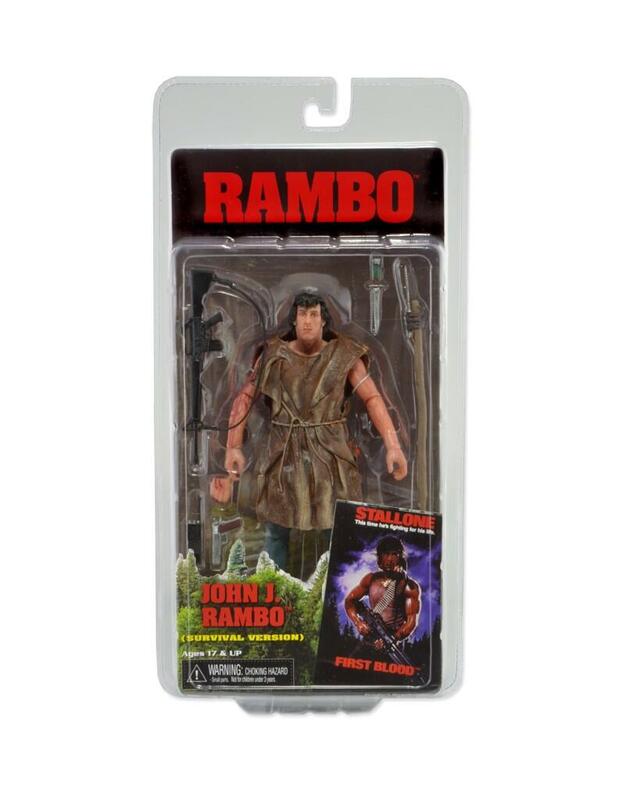 Rambo is highly detailed and fully articulated with over 25 points of movement.